Here is the latest version of my method of creating a Restaurant standard Indian Curry, of the Madras style. Always use fresh ingredients , especially the spice mix!! The onions can be sauteed while preparing the marinade or sauteed the day of cooking, which makes the method versatile for busy people. I‘m enjoying a different beer every day in advent. Kids get a calendar with chocolates or other goodies hidden behind each date; I get a beer! This is the fourth year of my beer advent calendar. I’ve enjoyed sampling a few beers I might not otherwise try and there’s been an element of excitement as I open each bottle, not knowing what I am going to discover. I score the beers between 1 and 10. Assuming ALL beer is drinkable so there is no zero and 10 is the best. Normally I wouldn’t buy a beer rating under 6 and more preferably over 7. My ratings are between the 24 beers tasted and don’t relate to any previous year. Last year My Beer Advent Calendar 2010 I sampled several beers from Aussie Boutique Brewery Beers. There were some pleasant surprises and some nasty shocks. This year I am going to attempt a PERFECT calendar with no beer scoring below 6. The first day of my Advent Beer calendar YAY! I choose to open a bottle of Carlton Draught. This is my kind of beer, a crisp full strength Lager, consistently good. It pours with a perfect amber colour and has a smooth full bodied flavour. I drank this one and wished I’d bought more! This is a great start to the month!! Dry Dock is made by the Sail & Anchor brewery, now partly owned by the Woolworths group. It poured a lighter yellow, with a little head. The taste was light lager with a slight vanilla note. The bottle is only 330mls; beer consumers are being conned to buy less for the same price as 375ml stubbies. Apparently Dry Dock is brewed to compete with Tooheys Extra Dry. I think the vanilla note would turn me off after drinking a few of these, but this bottle passed above the ‘drinkable’ rating of 6. Boags Draught, brewed in Tasmania, has a good reputation for taste and pureness which this bottle supported. It poured into the glass golden amber with a good head. It tasted good with slight caramel note and a pleasant mouthfeel. This was a tasty drop, with gentle carbonation. I might try a carton sometime, as a change from my favourite beers, which are VB and Coopers Pale Ale. I tried this one last year and suspected I had an ‘off’ bottle, I wanted to see if that was the case so I grabbed another 330ml bottle for this 2011 Advent Beer Calendar. I poured some into a glass and took a sip – it wasn’t ‘off’ but there was an overall feeling of a beer that hadn’t brewed correctly. There was an obvious hop taste, which I think is Hallertau, different to the usual Pride of Ringwood, which is the mainstay hops of Carlton Breweries. There was also an obvious Malt taste, as if the ingredients hadn’t fused together. Not what I would call a refined ‘Premium Lager’. The nose was a little bit skunky, not the expected clean beer smell. I rated this just above my bottom line of 6, I would buy it, but it’d be about last choice. Last year I enjoyed Bluetongue Pilsner very much so I decided to give their Premium Lager a go and I wasn’t disappointed. The taste was perhaps plain but there was nothing to dislike. Aroma and mouthfeel about what you’d expect from a Premium Lager, with a slight floral aroma. The recipe was conceived by former Toohey’s head brewer Bruce Peachey and that makes it as Aussie as they come! This beer was given to me by shed mate Bob. I think this is a beer that was brewed by Carton united Breweries in the Brisbane region a while ago and this new batch is to commemorate it. It was very tasty, I could easily drink more of this brew. It showed some similarities with VB while not being the same – colour , head, taste aroma all perfectly matched. 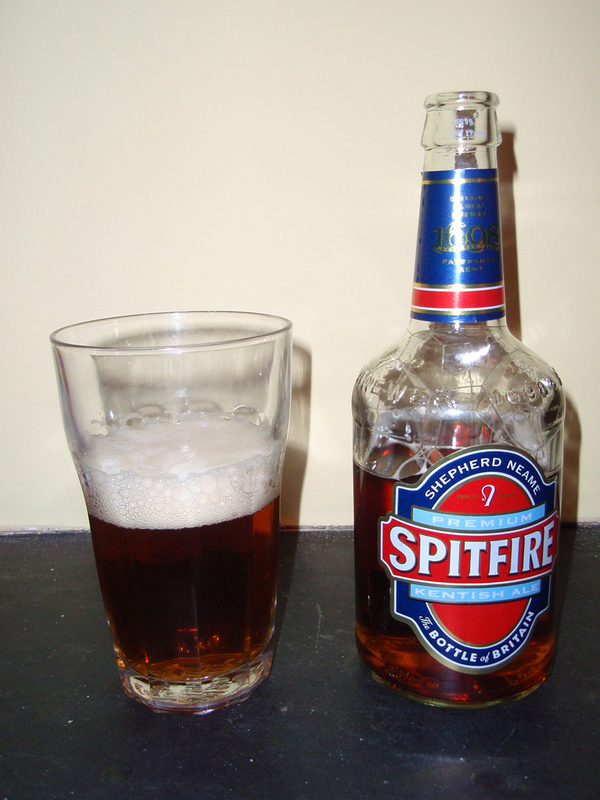 This is my favourite of the UK beers imported here. It is more carbonated than a UK draught bitter and maybe even more bitter than a ‘bitter’, especially in the after taste. It’s the closest thing I have found so far to my favourite beer, which would be a pint of bitter in an English Pub. Self titled, “The King of Beers” !! Bud is highest selling beer in the world, but that may be due to it’s large market place in the US, plus it’s low price there. I enjoy drinking bud occasionally and it was a tasty drop after a hot day. It poured into the glass with a pale straw colour and quite a good head, which it retained. It’s a light tasting, light bodied beer. I’ve noticed when drinking 3 or 4 Buds that there is a slight sourness in the after taste of this otherwise mild tasting brew. The alc by vol is 5%, but the bottle is small and also full of small print which mentions ‘Beechwood Ageing’ and that Rice as well as the more traditional Grain and Malt is used in the brewing process. I enjoyed this bottle of Bud, it’s an easy to drink beer. This could easily be called the King of Aussie Lagers. Brewed since 1919, originally it was only available to an exclusive group of diplomats and visiting dignitaries. Release to the general public in June 1953 to celebrate the coronation of Queen Elizabeth II, they’ve had plenty of time to perfect the brew. Crown Lager has a good bitter taste, firm amber colour, a creaminess to the mouthfeel with a malty mid-palate and crisp clean hop finish that are all blended together to perfection. This is the Aussie Lager all other lagers aspire to be. I often think Crown Lager is like an upmarket VB- they have similarities, both use Pride of Ringwood hops, are close to the same colour etc but after this Crownie I had a VB and there was a definite difference. VB is my beer of choice, though Crown Lager would be if it was cheaper!! I discovered this beer last year. It reminds me very much of English Bitter and is very enjoyable to drink. It pours a golden orange colour with good head. It has a strong malty flavour with a nice degree of bitterness. I never expected this American Lager to remind me so much of a UK Bitter. Boston Lager is smooth to drink, medium bodied and uses Hallertau Mittelfruh and Tettnang Tettnanger hops which give it just the right amount of bitterness. This beer is expertly brewed to combine all the favours. The recipe is actually one that owner Jim Koch’s great-great-grandfather Louis Koch brewed in St. Louis in the 1870’s. 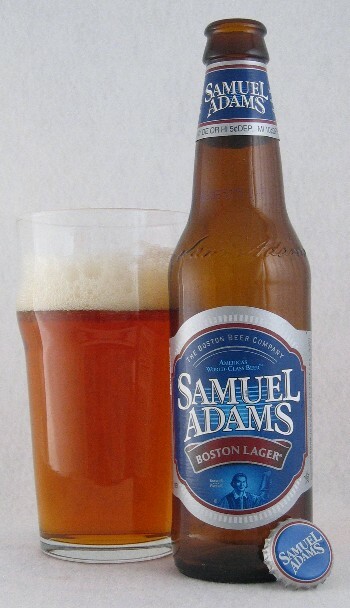 Jim Koch first brewed Samuel Adams Boston Lager in 1985 and distributed it in the Boston area. he soon had a wide distribution area and a high demand on both coasts. Yesterday a GREAT THIRST met a GREAT BEER!! I know Stella is a good beer but somehow this Stella was OUTSTANDING. Perhaps once in 9 months I have a beer that just tastes perfect – it must be a combination of a fresh brew and my palate that day. Anyway it happened with this beer!! It was incredible. The Stella poured pale straw colour into a glass showing a good head. The aroma captivated me, it was fantastic. It reminded me of European lagers I had enjoyed 30+ years ago!! I kept smelling and enjoying the aroma without tasting a drop! I’ve enjoyed Stella many times before but this bottle and the moment were exceptional. The taste is similar to Carlsberg – there’s some citrus, some bitterness but also some sweetness. Brewers Description: Stella Artois was first brewed as a Christmas beer in Leuven Belgium. It was named Stella, from the star of Christmas, and Artois after Sebastian Artois, founder of the brewery. It’s brewed to perfection using the original Stella Artois yeast and the celebrated Saaz hops. It’s the optimum premium lager, with it’s full flavour and clean crisp taste. It is still brewed using only natural ingredients, with the same process of mixing and fermentation as in the old days. I would normally score Stella around 9 but this was an exceptional experience. This English Beer from the badger brewery in Dorset tastes much better than its name suggests. It pours dark orange, with a good head and smells complex. It has a full bodied mouthfeel and the taste seems more concentrated than it needs to be. However, this is an excellent UK beer, very enjoyable and up there with my other favourite imported UK beers. The bottle is a good 500ml size. The taste overall is bitter and malty with several other unidentified, subtle but well blended, ingredients. The bottle label suggests, ‘A Tawny Amber Ale with a sweet nutty palate and hoppy aroma with hints of Seville Oranges’- so that must be it. I don’t always get all that, I’m too busy drinking and enjoying it!! This beer is no stranger, it’s a favourite of mine. In fact it’s the only mid strength beer I enjoy drinking. In typical Coopers fashion it’s secondary-brewed in the bottle and there is a lot of sediment. Shed mate El Rasheed put me onto Coopers a few years ago. At first I handled the bottles very carefully so as not to disturb the sediment but after a time I decided it was better to shake the bottle and spread the sediment so that it wasn’t all there at the end. The beer pours a light golden colour, with a good head. It has a strong mouthfeel and more carbonation than perhaps an ale should have. There is that distinctive yeast taste that I associate with homebrew although it’s no-where near as strong. The mouthfeel is good; there’s some substance to this beer which tastes great and doesn’t suffer from being a 3.5% alc mid strength. Sweetness slightly outbalances bitterness although there is no added sugar. The smooth malt character is balanced by a triple hopping with Pride of Ringwood and Saaz hops and Coopers Mild Ale is brewed with a selection of barley and wheat malt. I’ve always thought I drink beer for the taste not the alcohol and this beer proves that. A lovely drop which remind me of a mild version of Dutch Lagers. Not surprising because it’s brewed using an exclusive strain of yeast that is cultured in Holland. The hops are imported from Germany. It’s a thinnish beer, easy to drink with a mild taste of corn and pale malts. Tiger is a clean simple lager with a light corn yellow colour and a small head. Unfortunately the bottle is a small 330ml yet the carton costs more or the same as the brands with 375ml bottles. Tiger has been compared as a Budweiser with more taste, both beers have a lighter taste than Aussie lagers, and sometimes I enjoy that change. Tiger is brewed in several countries, the original brewery being in Singapore, where this bottle was brewed. I grew up in the UK not too far from the Adnams brewery in Southwold. I’ve tried and enjoyed their ‘Broadside’ but hadn’t seen this Bitter before. Most imported UK beers in 500ml bottles or cans are around $7 here, but this bitter was under $5 – good value. It poured into a glass with a one finger head that quickly disappeared and left lacing on the glass. The colour was a dark coppery golden and the aroma was all malt. There is a good hoppy bitterness that lingers and as I continued to drink this beer I began to notice a slight honey aftertaste. Uk draught bitter is one of my favourite beers and I enjoyed this Adnams bitter, but I wonder if they have added anything to make the brew last longer for export because there appears to be a more complicated taste than I remember UK bitter to be, but that could just be comparing bottle beer to draught. Another familar brew. I poured half the bottle into a glass and the delicious aroma could be smelled from up to a metre away! The distinctive green bottle contains a pale straw coloured liquid, brewed in Sydney under ‘supervision of Heineken Amsterdam’. This is a tasty beer, light bodied and not over carbonated, which I’ve always enjoyed drinking, despite the little 33oml bottles. The aroma suggests the hops are Saaz. There is some bitterness which overbalances the sweetness of the barley malt producing a respectable hop bite which I’ve found grows after a few bottles. There’s something about this Pale ale that has got me hooked. VB has been my choice for a long time, yet recently I tried some Coopers Pale Ale and loved it – refreshingly different to VB and I do prefer the Ale taste to Lager. At the moment it’s my beer of choice – I’m addicted!! The beer is naturally produced, with no additives and as usual with Coopers, undergoes a second fermentation in the bottle. This produces slight sediment, nowhere near as much as in Coopers Mild. The light amber liquid is highly carbonated, with a great malty tasty that has some tartness, and a crisp finishing bitterness thanks to Pride of Ringwood hops. Who can say what makes us like one beer more than another? Since discovering the joy of Coopers Pale Ale I have read that it has inspired a new generation of ale drinkers. 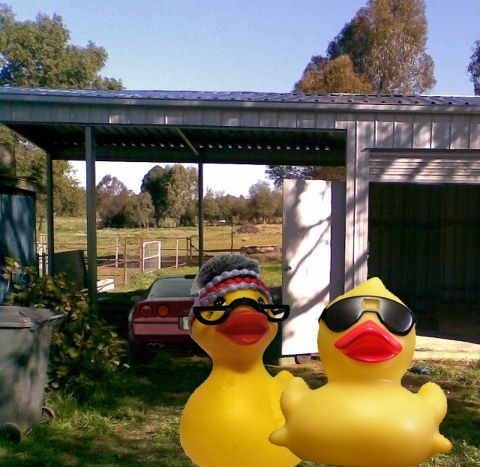 I notice shed mate Bob has been enjoying Coopers Pale Ale recently too. As I go through another year of my Advent Calendar, I see more clearly the difference between top fermented Ale and bottom fermented Lager and the variations by country in the definition of those two styles, for instance there is the German style, bitter Pilsner Lager, the Dutch style aromatic Lager, the Aussie Lagers which are so different from the European. Typical light golden colour Pilsner style Lager, possibly a shade darker than most other Dutch style Lagers. It pours with a white head that soon disappears. There is a sweet malt taste at the start which is followed by a crisp dry bitter finish. This bottle was brewed in Germany and wikipedia tells me “The brand was originally brewed at the Oranjeboom Brewery in Rotterdam (founded 1671), but that closed in 1990 and production shifted to the Breda brewery. In 1995, the Breda brewery was sold to Interbrew. In 2004, it was closed by InBev, Interbrew’s successor. Production was moved to the Dommelsch brewery where production techniques shifted and new ingredients were used.” – which seems unusual and suggests Oranjeboom has a strong following, otherwise it would have disappeared by now. Wow this might be the best of the UK Imported beers – the taste was malty, the head was solid and lasted, the colour a darker amber, the lightest of brown – a typical UK bitter colour. All the UK beers imported here seem to have a slight unidentified taste, which I call ‘preservative’ although it probably is something else. Thankfully that was missing from this brew. It’s brewed with English Target hops, burnt Pale and Crystal malts. The aroma was slight and of malt. The taste was just perfect, no particular component standing out, malt and hops perfectly blended. The hoppy finish was lasting, there was a thick mouthfeel and it seemed like a beer I could drink a lot of!! 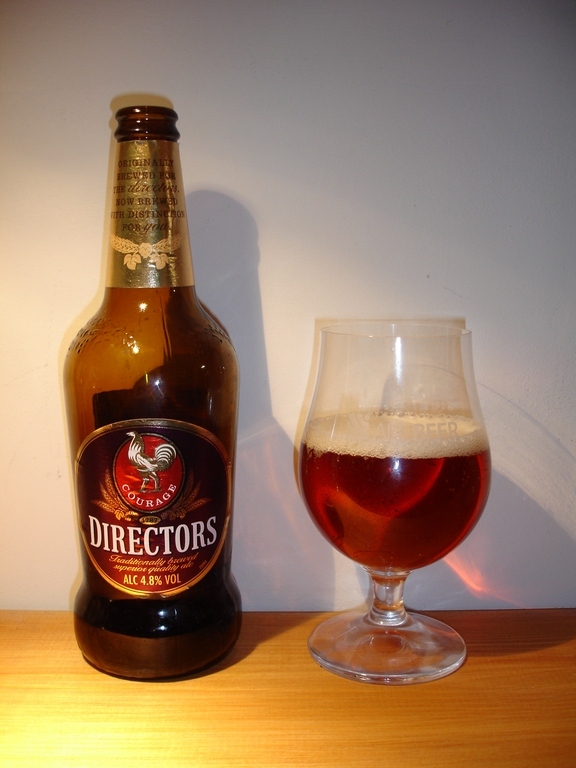 The label explains that this beer was originally brewed exclusively for the Directors of the Alton brewery, but following demand, the beer was made available to the public. I doubt anything is going to beat the score I gave the Stella Artois on that exceptional tasting, but this directors impressed me with it’s clean taste and it will be hard for another UK import to beat it. Shed mate Bob gave me this beer to try. 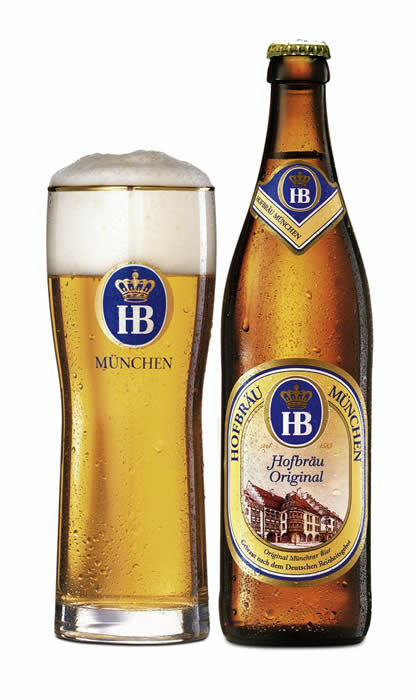 It’s brewed in Munich and on the bottle it proudly states “Brewed according to the German Purity Law”. In 2009 we discovered a German beer brewed specifically for Oktoberfest – Erdinger ‘Oktoberfest’ Weissbrau, and we loved it. Ever since then we’ve scoured the shelves for something similar. This beer was not similar to that Oktoberfest beer, so our search continues. It poured with a thick, brilliant white, head that quickly dissipated. There was a strong fragrance of Noble hops, I thought Hallertau and/or Saaz. The beer was a clear golden colour in the glass. 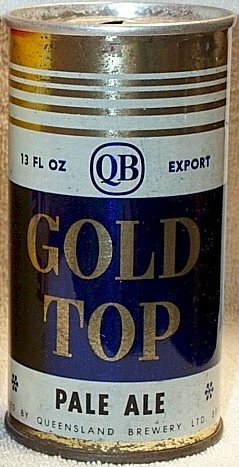 The taste was of a typical German lager – the mouthfeel was thin, and for me the malt was overbalanced by the hop bitterness throughout the drink, leaving a bitter finish. An alcohol volume of 5.1% is balanced by the small 330ml bottle. In Germany they serve it in Liters, that’s the way to drink beer!! This was a good beer to have with cheese and salami, its sharp taste and bitterness cutting through and cleansing the palate….for more! This is a very good European lager, certainly one of my favourites. The Carlsberg brewery is in Copenhagen, Denmark, but this bottle was brewed under license by Fosters in Victoria. It is a pale yellow colour with a distinct aroma of noble hops but without the German style bitterness. It’s brewed using pale lager malt, bittering hops, aroma hops and Carlsberg bottom fermenting yeast. It’s the yeast and aroma hops used make it unique. It has medium body and the taste has a good balance between sweetness and bitterness. Carlsberg do have their own hop variety called Jacobsen Hallertauer. I’m not sure if it’s used in this brew, I think it’s possible and it’s an interesting story – The brewery discovered hop vines barely surviving in a small area of the vast Carlsberg brewery grounds. They transplanted the cuttings and nurtured them. Called Jacobsen Hallertauer these hops were probably original Danish hops which Jacobsen himself had brought to Denmark and nurtured from cross breeding of German and English varieties over a hundred years ago. They are now grown on very small acreage in Denmark exclusively for Carlsberg. These hops are rich in oils (great for flavor and aroma) and with about a 4.5 to 6% alpha acid (bitter resins) rating, which is somewhat mild. Another beer that I’ve enjoyed before, this one comes from Thailand. Poured into a glass, the Lager is light coloured and looks hazy. There is a familiar but slight European Lager aroma and the mouthfeel and taste are thin. This is an easy beer to drink with only a small bitter aftertaste which isn’t overpowering. Chang pours with a good head that quickly disappears and overall it’s well balanced with a slight bitterness that doesn’t linger. Although the alcohol is 5% it’s a light tasting lager that’s brewed from Malt and Rice with ‘natural’ water. 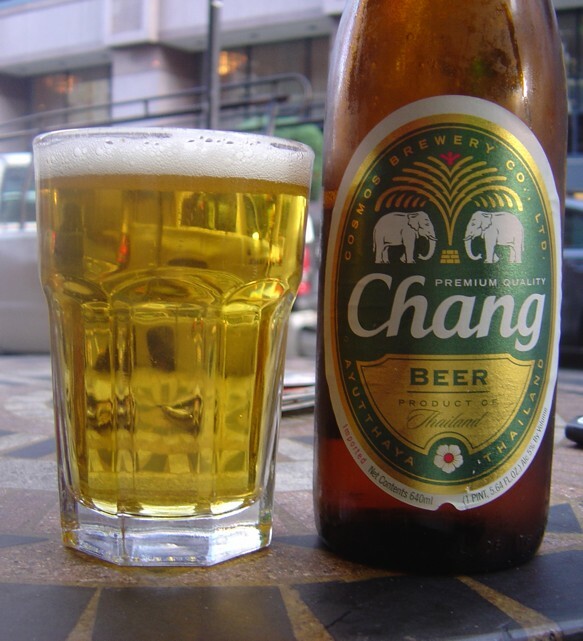 Chang Beer only began production 1995 and is the top-selling brand in Thailand. In December 2000 Carlsberg and Chang established a 50/50 joint venture, Carlsberg Asia, but this was dissolved in 2005. I enjoy drinking Chang sometimes for a change. I like the Dutch style hop aroma and that it is a simple tasting beer that doesn’t take over. In the glass it looks pale yellow and watery but the taste is firmer than it looks, with a bitterness that grows as the glass empties and is similar to a German style Lager. From this evidence I would guess there are both aroma hops- Saaz or Hallertauer Mittelfrüh and a good dose of German Bittering hops, perhaps Hallertauer Magnum or similar. Update: Grolsch use Hallertau Perle hops for aroma, which may explain the low aroma strength. This is a light tasting lager with only a small aroma of Dutch style lagers and a strong German style bitterness in the finish. Mouthfeel is thin and confused by the strong carbonation and the bitterness that develops while drinking it. that is to say I enjoyed the first few mouthfulls more than the last few. I would place this lager closer to German Style than Dutch style and because of that it would not be a choice beer for me. While there is nothing wrong with the beer it’s not my personal preference and have rated it accordingly. This is my daily choice of beer. 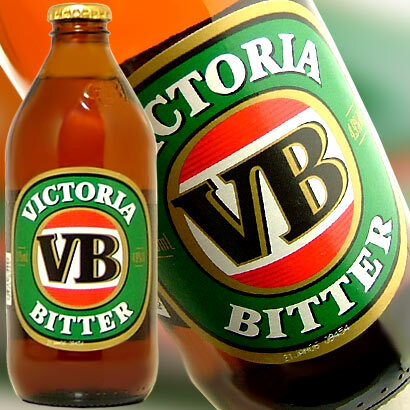 Victoria Bitter is actually an Australian Style Lager and is constantly a good drop.It’s brewed by Carlton & United Beverages and is Australia’s most popular beer, accounting for almost 25% of domestic beer consumption. 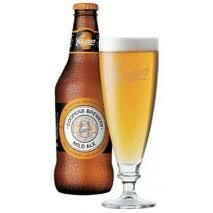 In a glass VB pours with a thick white head and is golden coloured. The initial taste can show woody notes and the mouthfeel is medium. Hops yeast and malt are finely balanced and I think of this brew as ‘smooth’ when compared to most other Lagers. Although I usually buy VB in cans because of the discounted price of a 30 tin slab, there is a subtle improvement in an already good beer when it’s in a bottle. This is the view the TV ads have promoted for several decades, the most famous TV ads featured Aussie actor John Meillon, who voiced Victoria Bitter commercials until his death in 1989. After his death, his son took over the role briefly, before using computer enhanced voice of John Meillon to voice over the commercials. To this date (14 years after his death), he is still the voice of VB. Here we are at the end of another Advent Beer Calendar. It’s been another enjoyable trip through many beers, some that I only have occasionally and a few new brews as well. I have succeeded in my mission to have PERFECT calendar with no beer scoring below 6. For those interested in my rating system, I would never buy a beer under 7 unless there was no choice and then 6 would be my bottom line. It’s impossible to fairly rate Lagers against Ales because some days I feel like an Ale and some days a Lager. so when rating a Lager I’ve compared it to other Lagers I’ve had this month, and the same with Ales. Looking back it would seem that overall I prefer Ales to Lagers, but it’s always pleasant to have a change. This year I have focused a lot on the hops used. Hops make such a difference to a beers Aroma and Bitterness. There is Early hopping, Late hopping & Dry hopping- all make various adjustments to the aroma and taste of a brew. Most of the breweries use their own special yeast and this too affects the taste, as does the type of malt, the addition of crystal Malt and even Rice grains to some of the beers sampled. As any home brewer knows, brewing is a complex process and it has been a pleasure to sample ALL of this years beers- I’m looking forward to next years Advent calendar already!! Thanks for reading. I November 2011 I bought a Panasonic FZ150 camera because I wanted ONE camera that would take reasonable quality photo’s and high quality video. Essential features for me were an external microphone socket and the ability to have manual controls of focus, zoom etc while videoing. 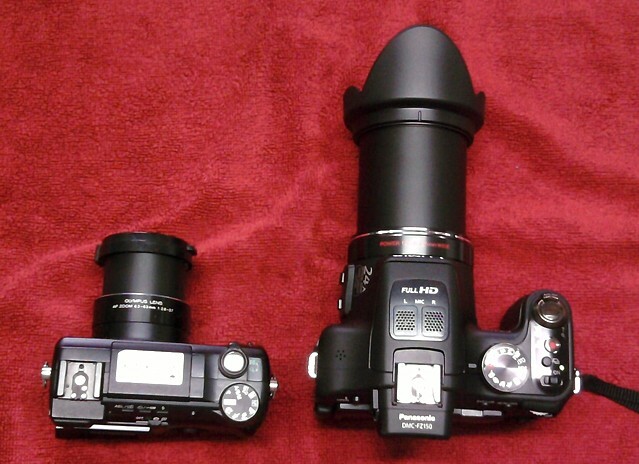 The Panasonic FZ150 is one of the ‘super zoom’ ‘bridge cameras’ and has x24 zoom and 12mp sensor. My previous camera, bought in 2005 when it had the best zoom (x10) was a 4mp Olympus C770. I’ve been extremely happy with it and always thought it had a special lens. There are plenty of excellent reviews and tests comparing the Panasonic FZ150 with other current makes, but my main concern was to make sure the photo quality was at least as good as the Olympus. I set both cameras up on tripods and used remote to take the photo’s, to eliminate shake. Both cameras used their automatic settings. As soon as I imported the photo’s into Photoshop, I realised that a a 12mp photo is 3 times as large as a 4mp. I decided to shrink the 12mp image to the same size as the 4mp from the Olly. this of course means I’d reduced the quality from the Panny by 2/3rds, but at least I could make comparisons. Even allowing for that, the Panny photo’s were much superior. The Panny photo is much sharper. The Olly favours yellow and the Panny blue. The Panny is not limited to 24x zoom. It has a feature called iZoom and this multiplies the zoom by a factor of 1.3 – I think its dependent on aperture and exposure settings and the manual says there is ‘no detectable difference in quality’ suggesting it is NOT just a digital zoom- and there is a separate digital zoom function, which supports this. Unfortunately the photo at x32 was noisy, but the video at x32 seemed sharp and I couldn’t see any noise. Max video sensor size is 2mp so perhaps, like the GH2, it can use part of the sensor to produce the image and so is clearer. Realistically there are very few times when I have wanted more than the x10 zoom on the Olly, although I have used more zoom on video cameras when on a tripod. The Panny also goes more wide angle than the Olly, so I reduced the zoom to zero on the Olly then framed the same shot in the Panny. Once again I had to reduce the image down to a third size so I could compare. Quite obviously the Panasonic FZ150 takes clearer photo’s than my Olympus C770, as you would expect with a larger mp sensor and 6 years of technology improvements. While the Panasonic was on the tripod I did a video test and I was very pleased with the quality. This was a grey overcast day, so a good test. As expected the pans at X32 zoom were blurred but the powerful zoom feature is amazing. At the end of the test video I zoomed in on a Mango tree about 10 metres away and it was as if the viewer was about one foot away. Click the bottom right-hand corner of the youtube vid to see it full screen – of course the video is compressed by YouTube so not as sharp as the original. This is a huge improvement over my previous video camera. I’ve always admired the Trans Am for its style, and wanted to drive one for a long time. After the combined club run to the Esplanade in June, Robert Hall invited me to take his gleaming Black & Gold 1976 Trans Am for a test drive. This Trans Am recently won Best of Class Trans Am 1970-1976 at the Pontiac Nationals at Warwick – something for Robert & Jacinta, and our club, to be really proud of. It was driven there and back to Cairns, not trailered, another credit. Being a 50th anniversary car there are a lot of gold accents throughout. Gold bezel dash, gold spoke steering wheel, gold honeycomb rims, gold stripes – gold everywhere. I climbed into the comfortable driving seat and Robert showed me where the important controls were. Everything was well set up, simple but functional. A nice touch is the clock embedded in the rev counter. It was a beautiful, blue sky, winters day in Cairns and the Targa tops were off. I let the engine warm up for a minute then put the Auto Trans into drive & released the foot parking brake. We were parked on the grass at the Esplanade and I gently feathered the brakes and drove onto the walkway and carefully entered the Esplanade road. The first thing I noticed was the steering; it was direct, light and perfect. The exhaust note was really good as I accelerated down the road. I haven’t driven a LH Drive car for a long time, yet it felt quite normal, except that I wanted to drive round every bump and manhole cover as they came towards me, because they were on my side!! Once on Sheridan St we headed into town, I had several opportunities to apply some power, perhaps to half throttle. The accelerator was light and smooth and the engine was very responsive. The big V8 had an excellent exhaust note without being extreme. The speedo showed MPH & KPH and the needle was steady. The auto Trans shifted very smoothly. As we braked for some lights I noticed the initial brake bite was like a new car, but then they needed more pressure. It was like a combination of Discs and Drums, which I found out is exactly what this Trans Am has. 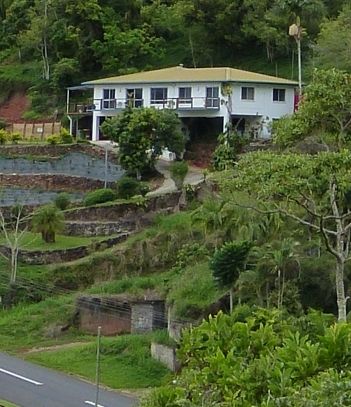 We drove up the Southern Access Rd and along Aumuller St. Robert warned me that roundabouts can be tricky with LH Drive and I noticed as we crossed a roundabout how easy it could be to cut too close to the center island. With the Targa Tops off there was very little turbulence. I’ve had convertible sports cars & I like that freedom of not having a roof, but don’t like the constant buffeting. For me the removable Targa roof is an ideal solution. Every time we stopped I could see the Shaker Scoop rocking and I assumed the car had a hot cam in it, but apparently it was just the natural idle of the 400ci engine. By the time we were heading back down Mulgrave Rd I had a good feel of the car and only a long drive or owning it would make me feel more at home. The 6.6 litre engine has a generous 75 litre fuel tank and a recent Cairns to Townsville fuel bill shows that it’s no thirstier than other carbureted V8’s. Under the hood everything was clean and organized, with gleaming black paint everywhere. The Rochester Quadra jet Carby, capped by a large band of Gold paint around the base of the air cleaner, sits majestically above the L78 big block. Most of the wiring is hidden; even the battery has side terminals to hide the cable. I really enjoyed driving this car, it made a big impression on me. The sound and power of the engine, the comfort, the ride quality and steering were all excellent. It’s impressive to look at and feels great to drive. It would be easy to take on long trips and it’s a car I would like to own. Thanks to Robert for trusting me with his prize winning Trans Am. Last night I went back in time and made a quick curry with some chicken pieces and half a Tin of Yeo’s Singapore Curry. Many years ago this was my standby home curry. Quick to prepare and hot and spicy to eat. I was interested to see how it compared since I have moved on to cooking curries the more traditional way, from ingredients. When I was young my family never had curries. Dad had served with the RAF in the Northwest Frontier from 1923 to 1927; the RAF were used in India ‘to assist the army in controlling unrest’. I think he had some bad experiences there because he came away with a strong dislike of the natives and anything to do with them. The first curry I can remember eating was made from a packet of freeze dried meat and powder. It was the famous ‘Vesta beef Curry and Rice’. I think I must have been 17 years old and I began to cook one of these famous UK curries nearly every week. A few years back I thought I would try a Vesta Beef Curry again. 30+ years of eating restaurant Indian curries had taught my palate what an Indian Curry should taste like. I was very disappointed and amazed I could ever have enjoyed eating those Vesta curries. The next curries I can remember having were at my girlfriends home. Her parents cooked what I call a UK Home curry, that is it was made from Clive of India curry powder and contained sliced apples and Sultanas. I joined a Car Club and they often met on a Sunday evening and we would all go to a Chinese Restaurant. I discovered the delights of UK Chinese Beef Curry, which was/is totally different to Chinese food in places like Hong Kong and here in Australia. When I was 19 a new friend, Martin, introduced me to UK Indian Madras Curries and wow I was hooked!! One of the restaurants we went to was called appropriately, The Taj Mahal. The curry arrived at the table in a steaming bowl. It was very oily and the gravy could be seen floating in the red oil, partially separated. I still remember the taste and smell of those curries and I’m getting closer and closer to recreating them, perhaps with a little less oil haha! My friend Martin always ate Vindaloo. He would sometimes dish a spoonful on my plate. My mouth, which was already on fire from the Madras that I found very hot, would reach new levels of inferno and I would gulp down beer to no effect. Those memories of fun and friendship will never leave me. Martin went to Australia and sent back letters of how great the place was. I came over to have a look myself, met up with Martin in Perth and he often cooked curries using sauce from Patak or Sharwood jars. They never really seemed much good after the British Indian Restaurant (BIR) Curries. I moved to Cairns and discovered a tin of curry sauce that was acceptable – Yeo’s Malaysian Curry Sauce (mild) in the blue tin. It had a distinctive taste and filled the belly. I discovered ‘Thugee Bills’ a local Indian Restaurant that produced EXACTLY those UK Indian Restaurant curries. One night I walked into the kitchen and congratulated the owner/chef. I asked him how he could cook such fabulous food and not be an Indian. Brian Cassey explained that he had learned how to cook in an Indian Restaurant in an area of London famous for it’s Indian Restaurants. His food was spot on. At home I got a bit bored with the Malaysian Curry sauce in the blue tin and I moved up a level of chilli heat and began using tins of Yeo’s Singapore Curry (hot). They have a taste which is partially satay but also Malaysian curry and I always thought they had a good chilli bite to them. Combined with pre-cooked chicken pieces which I keep in the freezer and some rice, they made an edible quick meal. I tried many other Curry sauces and sachets, but the Singapore sauce was always better. This phase of home curries lasted for several years; especially handy when I arrived home late. 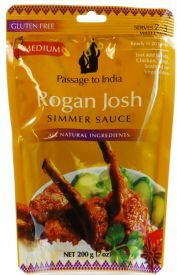 About 10 years ago I discovered the ‘Passage to India’ simmer sauce sachets and they took me a step further in my search for Indian Curries. I still use them occasionally because they are so quick and simple, have a good taste and a great aroma. In about 2007, always keen to try various curry pastes & sauces, I discovered in Coles a packet of pre mixed spices. This looked like a good thing but I was very disappointed with the results. Somehow I knew this should be the right way to cook a curry and I persevered through about 10 packets, but either the mix was too old or it was the wrong ingredients and I eventually gave up on them. My climb up the ladder accelerated. Zana herself became interested in the quest for my ‘Curry Nirvana’ to recreate those `1970’s BIR curries. Late 2010 Zana discovered a UK forum whose members all had the same quest as mine – she found one member, Curry Barking Mad Mick, who had a website CBM Mick with a recipe book for sale and many videos taken of chef’s cooking in Indian restaurants. GOLD!!! I joined the forum http://www.secretcurryrecipes.com and received plenty of helpful advice from the members. From that advice and some experiments I learned more about each part of the curry cooking process. The spice mix is very important. To make sure I was re creating everything correctly, one of the forum members, Iain, sent me 600 grams of their recommended spice mix, that he made up for me and posted. After many experiments and following the BIR procedures, in March 2011 I decided that some of the BIR style of cooking, in particular pre cooking the meat and only cooking one curry portion at a time, didn’t suit my habits. I have kept detailed notes of all the curries I have made in the last 2 years and I had some ideas of what worked for me. I looked back through these notes and came to a decision to alter the method. The results of the first ‘Rob Curry’ method confirmed I was on the right track in the quest for my personal curry nirvana. I have now cooked by the ‘Rob Method’ 3 times and I have a system which suits me and produces ‘Restaurant Standard’ Madras curries. ‘Restaurant Standard’ covers a vast range. I have had a few shockers in Restaurants over the years!! I’ve also enjoyed many superb restaurant curries. In fact I have an excellent Lamb Vindaloo every Monday, from local Cairns Indian Restaurant Marinades. Their Indian Food is top class and highly recommended. The Rob Curry method is still being improved, I don’t claim Nirvana has been achieved yet, but I am very close. Now It’s mostly down to fine tuning the spice mix. The result of trying the Yeo’s Singapore Curry Sauce last night ?– I am pleased to report that it was exactly how I remembered it. It was tasty and produced a quick edible curry, as it always has. I have increased my chilli tolerance over the years, yet I still thought it had a good chilli bite; and all I needed. The recipe and videos of my method are at the last link in this post (Robs Curry Method) The recipe and cooking methods PDF will be changed as I fine tune everything. If you’re a curry lover, sign on for email updates and follow my journey. Look at the speed this Volvo 70 is doing, wow thats fast!! The flat underwater rear sections allow the yacht plane easily but also make steering hard because the bow buries itself- as you can see. The Volvo Open 70 design is faster and more dynamic than any offshore monohull. It is a state-of-the-art craft incorporating leading edge performance technology. During the Volvo Ocean Race 2005-06, the Dutch entry, ABN AMRO TWO, designed by Juan Kouyoumdjian, smashed the World Sailing Speed Record for distance covered by a monohull within 24 hours when they achieved 562.96 nautical miles. The Volvo Open 70s are able to cant the entire keel 40 degrees out to the windward side. This produces tremendous stability, similar to the current America’s Cup Class, but with a boat that weighs 10,000kg less. Stability of the Volvo Open 70 is further enhanced by the use of composite rigging, rather than stainless steel rods, which reduces the weight of the rig. Such rigging also helps toughen up the masts as the ultimate failure loads of this rigging is far higher than that of the stainless steel rods they replace. I was talking to someone recently about who we think is the best singer- Male/ Female, In the World/In Australia. Of course there are no definitive answers because we all have different tastes in music- there’s no Celine Dion in my list, fine singer though she may be!! this is not restricted to current, they can be from any year. There are so many good singers. I can’t remember all their names so I decided it would have to be someone I COULD remember and also who I would choose to listen to First if I had several CD’s from famous singers laying on the table. 1 Freddie Mercury – Freddy had a big vocal range, plenty of power and could be clear as a bell or rough and gutsy. Subscribe to Email notification to see what others think. How to cook a Madras Curry to Indian Restaurant Standard. Finally, after a lot of experimenting with various techniques and advice from the experts, I have a method which produces a Curry to Indian Restaurant Standards. I will continue refining and experimenting, I’m close to creating my Curry Nirvana, I know it’s not far away now. Here are videos of making an Onion Paste, the Marinade and then Cooking a Madras style Indian Curry. The recipe instructions and my thoughts are below them. Here’s the thinking that lead to my recent successful curries. I have kept notes and comments of each curry over the last few years. A long look through theses notes revealed the things that worked for me. Recently I’ve copied British Indian Restaurant Techniques and learnt more about each component and how to cook it. I realise that copying the BIR style is an obvious way towards creating BIR dishes, but following the BIR structure which involves pre-cooking the meat and pastes and then combining them all in 10-15 minutes, one portion at a time, doesn’t suit my lifestyle. I enjoy the 60-90 minutes of cooking a 3-4 portion curry on a Friday then relaxing with a few beers and some pappadums, dishing up maybe 3 hours later. I freeze some portions and they are easily re heated and handy for days when I’m busy. I also freeze rice in single portions. Pre cooking the meat and throwing the marinade away seems detrimental, both in cost but more importantly in taste, because the marinade contains some of the meat flavour. My stomach reacts with onions and I normally make sure they are well sautéed. The recipe for an Onion Paste in Mick’s Indian Recipe Book seemed like a very suitable way to caramelise the onions and also produce some flavoured oil. I changed the amounts to suit 700 grams of beef, added 8 Chillies and removed some ingredients that were unobtainable here, Like Rajah’s All Purpose Seasoning. Instead of using 1 Tab of Onion Paste per portion which it’s designed for, I use it all and don’t cook up any more onions with the meat. In the future I may also try cooking some onions with the Beef and maybe adding extra Garlic at that stage too. When cooking the Onion Paste I use extra oil which becomes flavoured and I use that oil to brown the meat the next day. When cooking Mince dishes, like Spaghetti Bolognaise, I know that a splash of red wine creates a lovely sauce with the meat juices. It’s also good in a marinade- so ‘Rob’s Marinade’ contains 700grams of chunky Beef/Lamb, one Tab of Curry Spice Mix, a generous amount of Lemon Juice and a glass of Red wine!! OK, not traditional, yep I know that!! Marinate overnight, then remove the meat pieces and brown them in flavoured oil from the Onion Paste, put aside. Simmer the marinade for 5 minutes which burns off the red wine smell and alcohol, then blend and pour over the meat. It turns into a perfect Gravy !! As you can see in the video. I don’t think I have completely succeeded ‘fusing the Spices’, and I will continue to experiment until I get it. How the heck do you know when the spice fusing works? If 100% is considered the aroma from the best Indian restaurant curry, then I am achieving about 70%. The curries taste good but lake that extra aroma, and aroma influences the taste buds, as anyone who has a cold will know. This is where being in the chef’s kitchen and SMELLING what’s happening would be invaluable. Method: My method is to cook ALL the meat in the curry and portion it afterwards. After browning the meat and converting the Marinade into a Gravy, I reheat the Onion paste, add 3 heaped Tabs of Garlic Ginger paste and while that is beginning to simmer I add the Curry Spice Mix, turn up the heat and stir vigourously until I smell the spices aroma coming through- usually about 10 seconds. I quickly add the meat and marinade to cool it all down so that the spices aren’t burnt. I then give everything a hard simmer (get everything sizzling) for 10 minutes, adding water if it is too dry. At around 4 minutes of sizzling I add 4 cut green cardamoms. When the 10 minutes of sizzling is done I put the covered pot in the oven at 104C where it simmers for around 2 hours. The spice mix used in the curry this time was made to Mick’s #1 recipe in his book, because I thought highly of it before and wanted to try it again. The mix was less than 12 day old, thanks to Zana of SpiceZ at Kuranda www.spicez.com.au who sells spice mixes. I used 1 Tab of the spice mix in the onion Paste. This is a work in process. If you have downloaded the recipe, check for updates and sometimes you will see a new date. Nothing is written in stone, but I now have a method which works and suits my lifestyle. I’ve had several ‘the Best Curry I’ve ever cooked’ experiences in the last year- currently this one is now THE BEST CURRY I’VE ever cooked replacing all before. It was to restaurant standard in taste and look and I would proudly serve this to any curry aficionado. If you are a curry lover like me, sign up for Email or RSS updates and watch my journey.